Whether you're a school or university student or studying for work or pleasure this is the ultimate Urdu reference dictionary. 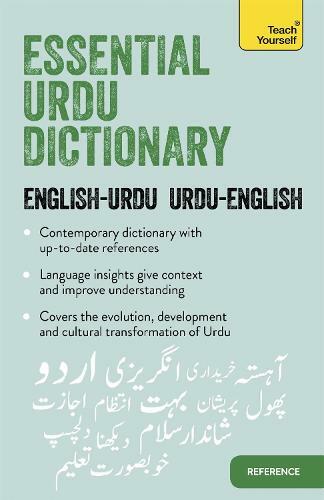 This dictionary is aimed at speakers of English who want to learn Urdu. - Two-way dictionary: Urdu-English, English- Urdu including transliteration throughout. - Contains handy sections teaching Urdu script and grammar. - Insights from the author give extra help and guidance on usage. - Covers everyday idioms and expressions. - Includes new terms related to media and internet Urdu. Written by a university professor with years of teaching experience this dictionary will help support your studies.